I'm writing this on Sunday night, huddled on the couch with a blanket cursing at the cold. I hate it. 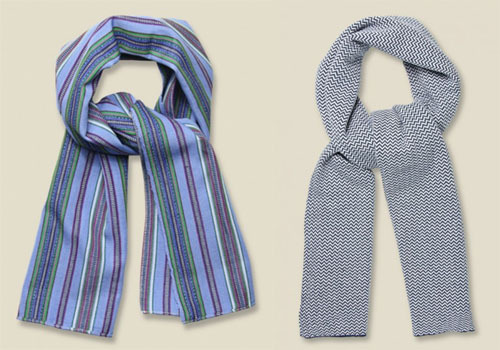 But I must admit, the only ray of sunshine to these chilly temps is the plentiful resurgence of stylish man scarves. These beauties come via Sid Mashburn in Atlanta. The Gun Check Cashmere is a particularly nice one at $225 but I happen to love the green mix lambswool just as much, at $45. 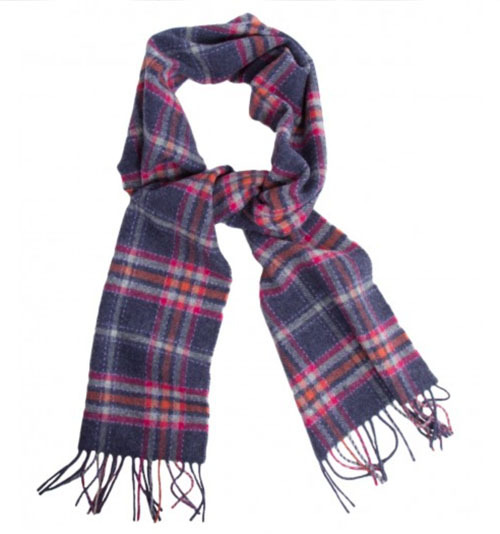 Scarves are an important part of men's fashion, having been a part of the man's wardrobe for over 2000 years, (first worn by Chinese soldiers). Over the years, this rectangle fabric has been adorning necks for warmth and style, evolving into some incredible colors, textures and patterns. 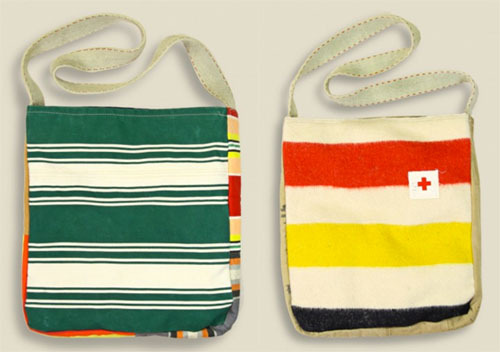 These above are via Sid Mashburn and Need Supply in Richmond, Virginia and start at $28. 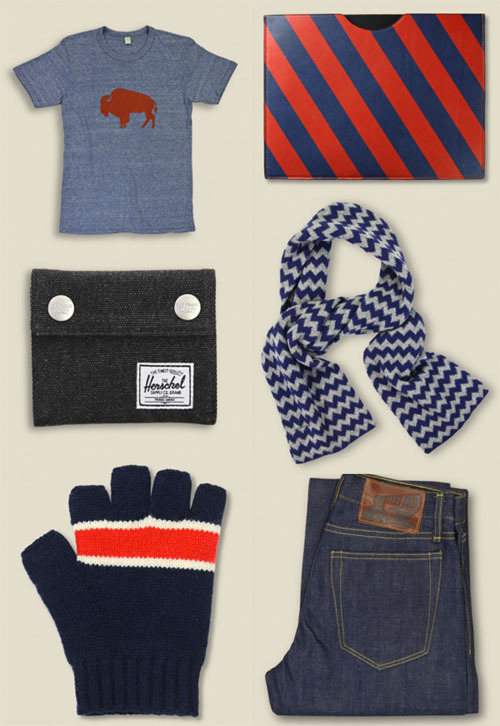 Stag Provisions for Men in Austin, Texas has some of my favorites, including the Blue Wave at $96 and the handsome Wave Jacquard scarf for $60. And of course, you can't forget Billy Reid from Florence, Alabama. His cream cable scarf is on sale for $78. 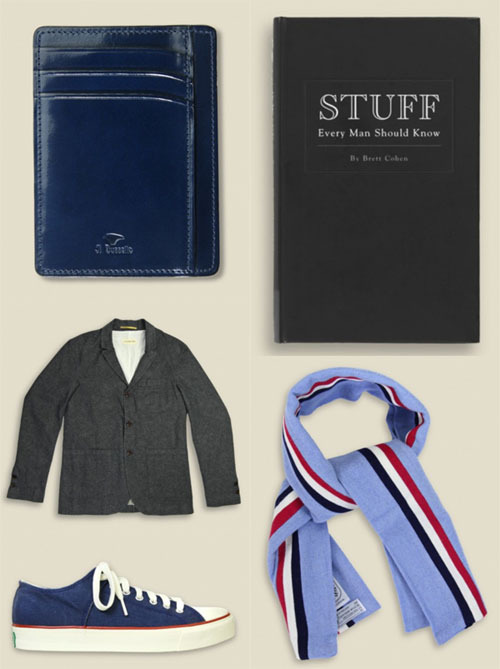 As you see, they carry a bit of everything - from clothes and shoes to wallets, bags, books, hats, gadgetry and apothecary. They truly are a great shop to visit (in person or on line) when you need that perfect guy gift. As they share, "We pair high end with low, mix vintage with new collections, and add the unexpected right alongside the nostalgic. If we love it, we stock it, and if we don't, you'll never find it here." Peruse the entirety of their fab shop here.